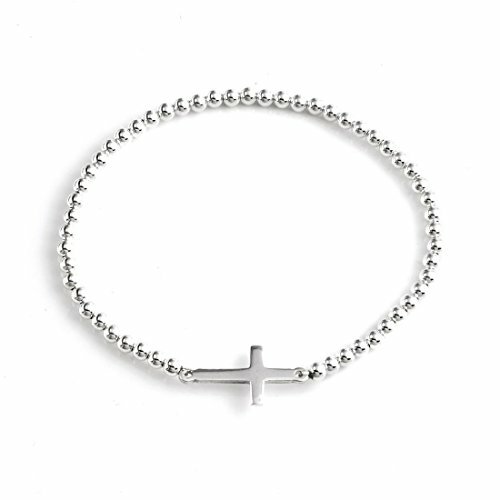 This is a beautiful sterling silver ball beads bracelet with sterling silver cross charm. The bracelet will fit wrist up to 17 cm .The weight 3.28 grams. Strong elasticized bracelet. Comes in a white branded jewellery box with a small branded cloth to polish your silver items. Sterling silver 3 millimetres ball bead bracelet. If you have any questions about this product by Silverly, contact us by completing and submitting the form below. If you are looking for a specif part number, please include it with your message.